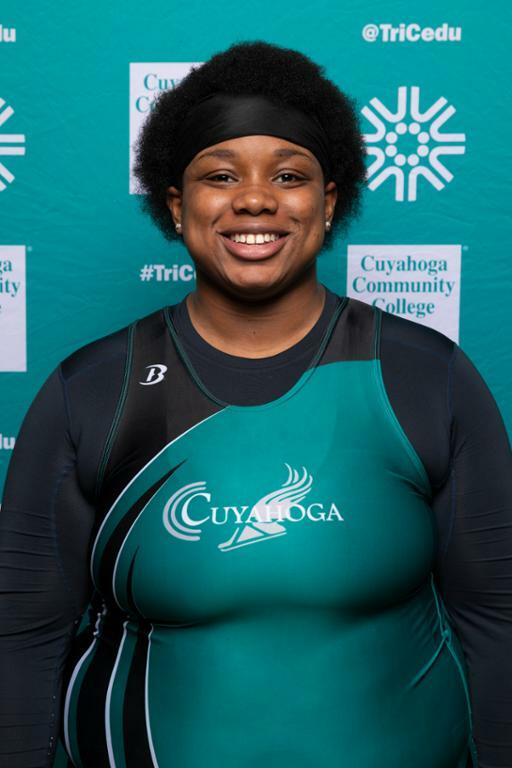 The NJCAA Outdoor Track & Field Championships promises to be busy for Cuyahoga Community College (Tri-C®) thrower Artis Sims. Sims qualified for nationals in a third event — the discus — during the Walsh Invitational in North Canton on Saturday, April 13. Earlier this season, she earned a spot at nationals in the shot put and hammer throw. The NJCAA Outdoor Championships will take place May 16-18 in New Mexico. Sims, a sophomore from Statham, Georgia, is working toward an Associate of Arts degree at Tri-C. She transferred to the College after a season at Charleston Southern University. For more information on the women’s track team, visit www.tri-c.edu/athletics.